As you walk towards the L train subway platform in Manhattan you will quickly notice a shift in dress and topics of conversation of those standing next to you. The reason? You are heading to Williamsburg, Brooklyn; home of the hipster. Note, we probably can debate where the new hipster neighborhoods are heading but I will save that for another post. 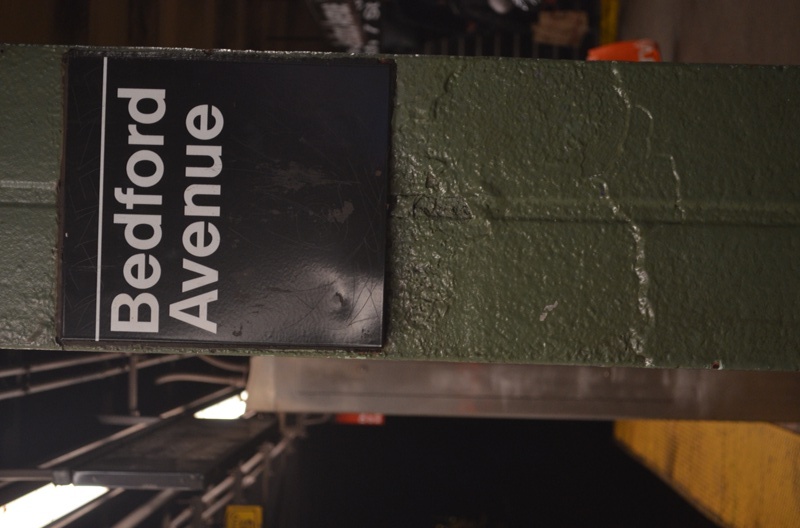 Just one stop into Brooklyn sits Bedford Avenue. This is actually a really long street and if you stay within North 1st to North 12th (MaCarren Park) you will be able to visit a lot of the fun shops and restaurants in the neighborhood. I would fully encourage you to venture past these arbitrary boundaries but this is a good starting point for your next trip. Once you have walked Bedford, you will want to make your way over to the water. North 7th street is usually a good place to begin. Walk to Berry St then Wythe Ave and finally Kent Ave. The walk is about 8 minutes (not to be too precise) and is worth the trip. Along the way there are more great shops, street art, iconic water-towers and old brownstones all ending with a panoramic view of the Manhattan skyline. 2. Artists & Fleas – Local artists and antique vendors all under one small roof. 3. Spoonbill & Sugartown (bookstore) – Cool vibe, friendly staff and a great selection of art books. 4. SEA (Thai restaurant) – Not many other restaurants can boast they have an above ground boat pond let alone swinging chairs and an ultra hip bathroom. Plus the food is affordable and really good.